In this lab the students will be sending their Hot Wheels car down a straight slope and calculating it's acceleration. Initially when I started having the students do this lab, I used a straight board, Hot Wheels track and some stopwatches. However, recently I acquired a Dragtracks diecast race track and have turned this lab in to a fun race. 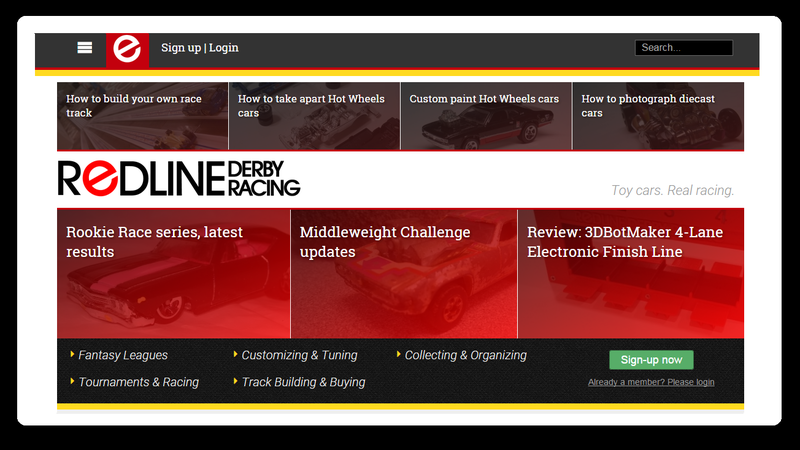 The Dragtracks system has two lanes, a start gate and finish line that declares the winner as well as gives the time. The fact that it tells the time for the cars is the most important part as we need that to calculate the acceleration. Since I have introduced the race component of this lab the students LOVE this lab. The Dragtracks system costs a little over $100 for the Super Sport Edition, which is the one you need so that it separates out the reaction time and Elapsed times. I ordered mine through JEGS with free shipping and JEGS has awesome customer service. Again, you don't need the Dragtracks system, orange track and stopwatches will do, but the Dragtracks sure is fun! Here's some video of the first round of our last race. Purpose: To calculate the acceleration of a Hot Wheels car as it races down the track. 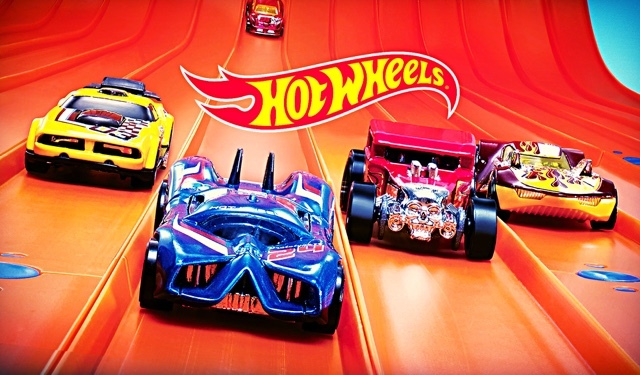 Your Hot Wheels car will participate in a double elimination contest. The track is 18.875 feet. Each race will be timed. Because it is a double elimination contest, your car will race at least twice, maybe more if it wins. Record the times in the data table below and then answer the questions to determine the acceleration of your car. Calculate the average time of your car using the data from however many races your car competed in. Calculate the average velocity of your car. (v = d/t). Because the track has a consistent/constant slope, we will assume the acceleration is constant. The average velocity of any object that speeds up from rest at a constant acceleration is just half the final velocity. So to find the instantaneous final velocity of the race, simply double the average velocity. You now have an initial velocity (0) and a final velocity. You also have the time it took the car to finish the race. Calculate the average acceleration of the car for your races. Your acceleration is in feet per second per second. Convert your acceleration to miles per hour per second. Using the scale acceleration, how long would it take your car to go from 0 to 60 mph? Discuss the lab including it's set-up and procedure, as well as how you did in the race. Also discuss the data you obtained and the results you found in your analysis. 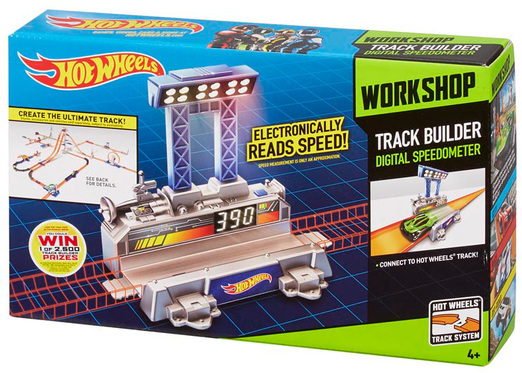 The Super Sport Edition of the Dragtracks race track will allow each individual to start their own car once the green light goes off, or has a mode where you can start both cars at the same time. I like the mode where each individual starts their car, as it takes into account their reaction time and make the races more interesting, rather than the fastest car just winning all the time. In this mode, anybody could have a chance at winning. One important aspect to this lab is the constant slope. I therefore modified the Dragtracks race track a bit by not using their normal hill to flat transition piece and then supporting the track as can be seen in the video. A simpler version of this experiment could be done by using the Hot Wheels Speedometer. To find the acceleration you need the final velocity, so we use a distance and a time to get that; but the Hot Wheels Speedometer could be put at the end of the track and just give you the final velocity. The velocity that the Hot Wheels Speedometer gives is a scale velocity so that should be taken into account. To get the actual velocity you would divide it by 64 since Hot Wheels cars are 1/64 scale.